In 2015, Dr. Joseph Beck became the first dentist to be fined for a HIPAA violation, which sent a warning to dental offices about HIPAA compliance. Until that point, dental offices had avoided fines for noncompliance with HIPAA Rules. The penalty was not issued by the Department of Health and Human Services’ Office for Civil Rights (OCR), but by the Office of the Indiana attorney general. The fine of $12,000 was for the alleged mishandling of the protected health information of 5,600 patients. Since then, many settlements have been reached with covered entities for HIPAA violations. No further penalties have been issued to dental offices, although there is nothing to stop OCR or state attorneys general from fining dental offices for failing to comply with HIPAA Rules and settlements for alleged HIPAA violations are now being reached much more frequently than in 2015. Last year was a record year for settlements and 2017 has continued where 2016 left off. The probability of HIPAA violations being discovered has also increased. OCR has already commenced the much-delayed second phase of its HIPAA compliance audit program and dental office may still be selected for an audit. During the first phase of compliance audits in 2011/2012, at least one dental office was audited. That round of audits revealed multiple areas of noncompliance with HIPAA Rules, although OCR chose not to issue any financial penalties. Instead non-compliance was addressed by issuing technical guidance. Now, five years on, covered entities have had plenty of time to implement their compliance programs. Financial settlements can be expected if HIPAA violations are discovered by OCR auditors. If your dental office has not been selected to demonstrate compliance with HIPAA Rules already, that does not mean an investigation will not be conducted. OCR has only conducted the first round of its phase 2 HIPAA audit program. The second round will involve on-site visits, which are expected to start in early 2018. OCR also investigates all covered entities that experience a breach of more than 500 records. There has been an increase in cyberattacks on healthcare organizations in recent years, and dental offices can could all too easily come under attack. Laptop computers containing ePHI can easily be lost or stolen, employees may snoop on records or steal sensitive information, errors can easily be made configuring software, and unaddressed vulnerabilities can easily be exploited. 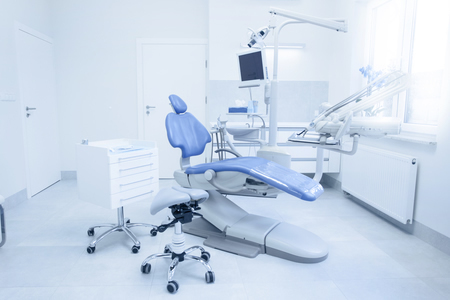 This year, the hacking group TheDarkOverlord exploited a vulnerability and gained access to the records of Aesthetic Dentistry of New York City and stole data – a reportable breach under HIPAA Rules. If a data breach is experienced, OCR will need to be provided with evidence that HIPAA Rules have been followed. Complaints about privacy violations and other potential HIPAA failures can be submitted via the HHS website, and can easily lead to HIPAA investigations. It would be a serious error to think that OCR will not investigate small practices. OCR has made it clear that all covered entities, regardless of their size, must comply with HIPAA Rules. It is not only large healthcare organizations that may have to pay a financial penalty for non-compliance with HIPAA Rules, as Dr. Beck could confirm. The threat of data breaches is greater than ever before and OCR is taking a harder line on healthcare organizations that fail to comply with HIPAA Rules and keep electronic protected health information secure. Dental office should therefore take HIPAA compliance seriously and ensure HIPAA Rules are being followed.